We met up with celebrity interior designer Alison Victoria in her native Chicago to get her take on what kitchen and bath trends and tricks designers should be using. Victoria, who was previously the designer for HGTV’s Kitchen Crashers, runs an eponymous interior design firm with offices in Las Vegas and Chicago. She is currently back in the Windy City working on a new HGTV home renovation show set to premiere this year. 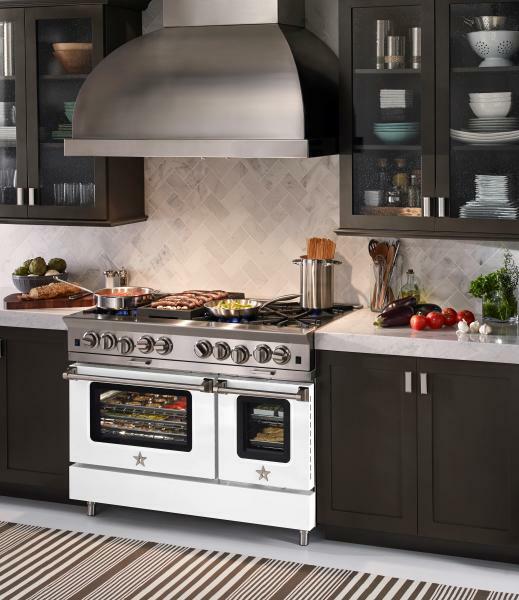 For appliances, she opts for Bluestar ranges, which give her the color and design flexibility she wants, and the Btus her partner, who is a chef, requires. We got Victoria’s take on what’s trending in kitchen and bath design today. Here are four pieces of her design wisdom. 1. Find places for budget-friendly fun. Instead, she suggests focusing creativity into more affordable and easier to replace areas, like a backsplash or faucet. 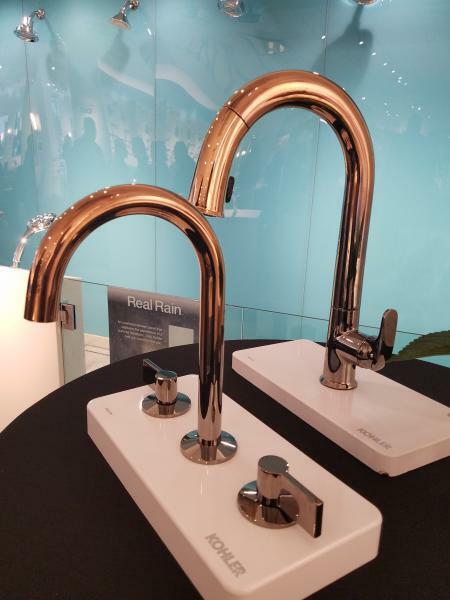 She pointed out Kohler’s new Ombré faucet finish, a unique dual-colored look that moves from either Vibrant Rose Gold to Vibrant Polished Nickel or Vibrant Titanium to Vibrant Rose Gold, as a prime candidate for a fun fixture. The new finish is available in Kohler’s Sensate and Components collections. 2. Embrace the future of storage. Victoria also pointed out the rise of flush, panel-ready appliances; hidden kitchen tools; and creative cabinetry that can mask everything from a sink to an entire island. New storage solutions are giving kitchens a clean, uncluttered look that is very futuristic, and are placing looks on the same priority level as functionality. 3. Spin the gold color wheel. Victoria noted the rising popularity of a variety of gold finishes in both the kitchen and the bath. In particular, rose gold is trending hot right now. 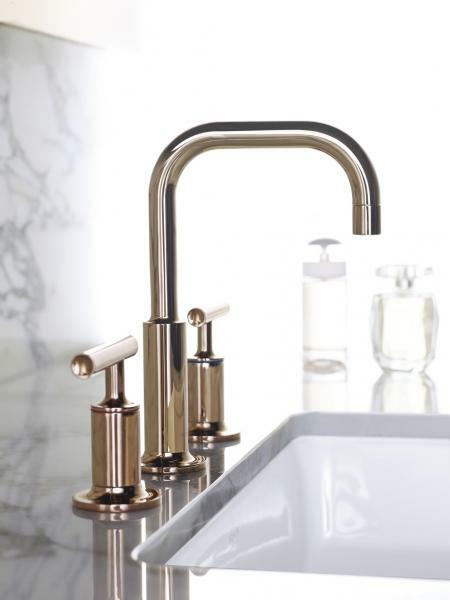 Kohler offers three different gold finishes, and many other companies are expanding their gold offerings, as well. Moen, for example, introduced its first gold finish, a brushed gold, this year. “The range of golds that we’re seeing now is huge,” she says. 4. Design powder rooms that wow. “The powder room is where you have fun,” Victoria says. She sees that homeowners are willing to add color and design creativity to powder rooms more often than master and second baths. She recommended touches like statement-making vessel sinks and hand-painted wall coverings.